New soccer chief inherits body with $17.7 million worth of debt. Russian Sports Minister Vitaly Mutko has become the new president of the Russian Football Union (RFU), reports the TASS news agency. Mutko was the only candidate in the recent elections. Mutko has replaced Nikolai Tolstykh, who was dismissed on May 31 because the union had not been paying the salary of the head coach of the Russian national team, Fabio Capello. After Tolstykh's dismissal Capello's contract was torn up and he was given compensation. Upon being elected, Mutko announced that the RFU's debt amounts to 1.2 billion rubles ($17.7 million) and that it will take at least one and a half years for the organization to pay back its creditors. 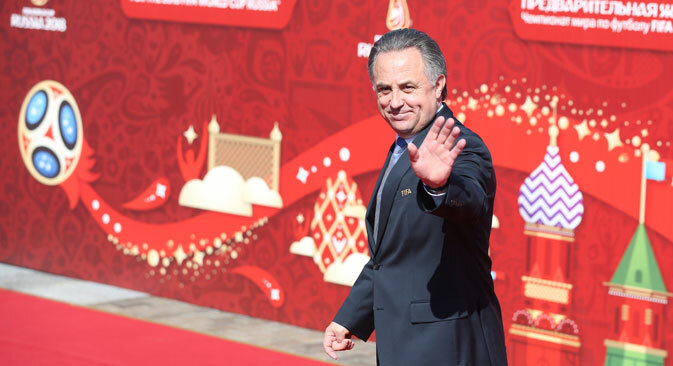 Former RFU President and FIFA Vice President Vacheslav Koloskov believes that Mutko will be able to lead the organization out of the crisis. “He has good connections both within the administrative bodies and among businessmen. He proved it by covering the debts when paying Fabio Capello's salary." Will new limits on foreign players pave way to success for Russian sport?